If you want to build economical homes that are eco-friendly then build energy efficient wooden homes. The reason why wooden homes are far more energy efficient is that all walls are insulated as well as roof space. In most cases building a wooden home or an American style home is more economical to build. Here are a few tips to insulating energy efficient homes. How To Build Energy Efficient Wooden Homes? At the building stage of energy, efficient wooden homes make sure to insulate under the floors. Now in this application, we suggest laminating foil to the insulation. The reason for the foil lamination is to reduce wind penetration as well as condensation. However one of the main reasons is if you spill water on the wooden floors it will run off the foil and not damage the insulation. This will reduce hot or cold air entering the home through the floor space in winter. All sidewalls must be insulated with Cavity Batt this insulation is specially designed for this application. In fact, the Cavity Batt is 110mm Thick and is SANS compliant for this application. One can also use Isotherm insulation, however, I would recommend laminating on both sides. Walls must have a foil barrier to prevent condensation. Cavity batt is a big step to building energy efficient wooden homes. The Roof space must be well insulated with either 135mm Aerolite insulation or 145mm Isotherm. These two products are equally good and are SANS compliant for the Western Cape region. In fact, it does not matter what region you live in rather install the best roof insulation at the start. A double glazed window will also make a huge difference for summer as well as winter. Solar Geyser should be installed with a few extra panels for conserving some battery power in the event of power outages. There are a number of different insulation types to use to get the best out of a wooden home. For the floor space, we would use two layers of 135mm Aerolite Insulation laminated with foil on one side. The forage of any home with wooden floors is an area of heat loss and gain. The 135mm Aerolite has an NRC 1.1 so using two layers will kill all sound and reduce especially cold air in winter. For more on the Aerolite, specifications read our specifications page. For the walls the Cavity batt insulation is perfect. In fact cavity, batt insulation will be cooler than brick walls in summer. Importantly cavity batt will also be warmer in winter. As we know when brick or concrete face the sun all day they get very hot inside the home. However, because Cavity batt is an insulation it does not allow the hot air to flow through. We stock wall Cavity Batt insulation. For the Roof insulation, we suggest the 145mm Isotherm insulation. In fact, the Isotherm is SANS compliant and will achieve the r value 3.70. do not install a thinner Isotherm product as this will be a waste of money. Read our Isotherm Specifications page to be sure to select the right insulation. Ensuring you have the right R-value is important rather have a higher R-value and be safe. All well-insulated homes will be Energy Efficient homes and give you years of energy saving. When insulating sidewalls, floors and roof space always use the service of Aerolite installers for aerolite and Isotherm Installers for Isotherm. This will make it possible to get the best out of your insulation. In fact, it is not possible to build any home efficiently without insulation. However, i believe that a wooden home will be more energy efficient as the walls are insulated as well. 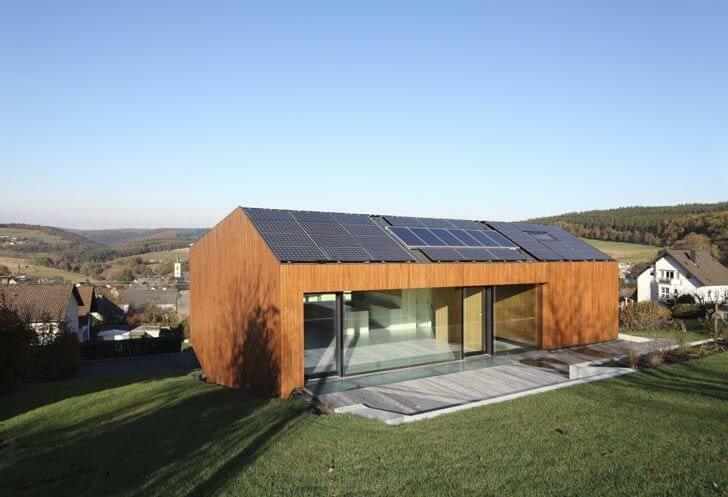 Hope this post was beneficial for those wanting to build energy efficient wooden homes.